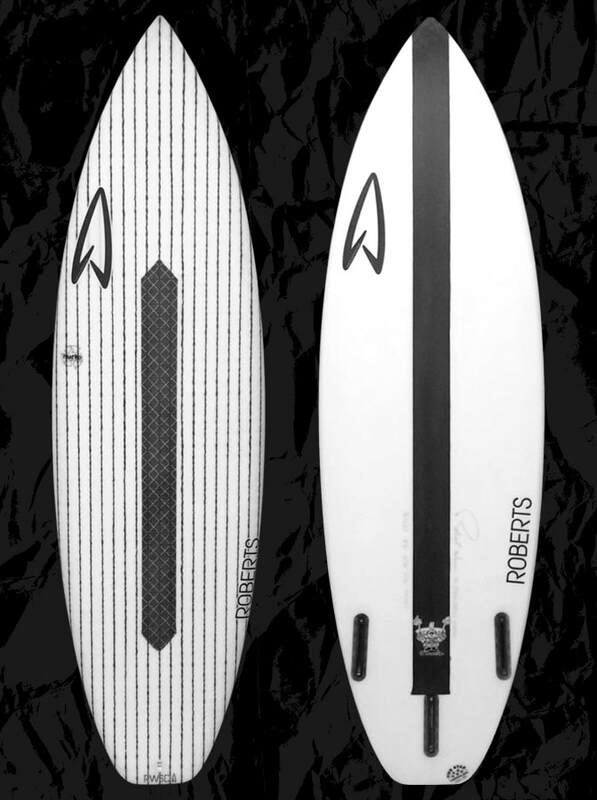 RFT2 constructed boards start with stringerless EPS blanks. Glassing consists of the highest quality epoxy resins and fiberglass. 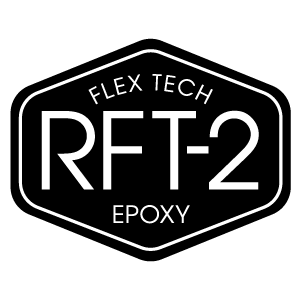 Our standard glassing schedule for the deck of RFT2 stock or custom boards is a layer of 4oz fiberglass and a layer of 6oz fiberglass on top of a layer of vector netting with woven carbon strands. In the center of the deck under the front foot area, a short length of wide carbon stripping is used to isolate flex and add more strength where the board needs it most. Layers of S cloth are placed on the rails and in specifically placed patches on the deck for strength and to control flex. A layer of 6oz fiberglass is used on the bottom as well as a single strip of aircraft grade carbon that is glassed down the center of the bottom ending above the center fin box to allow flex in the tail area.